Everyone form real beginners to demanding professionals, to whom golf means life, can enjoy the green. 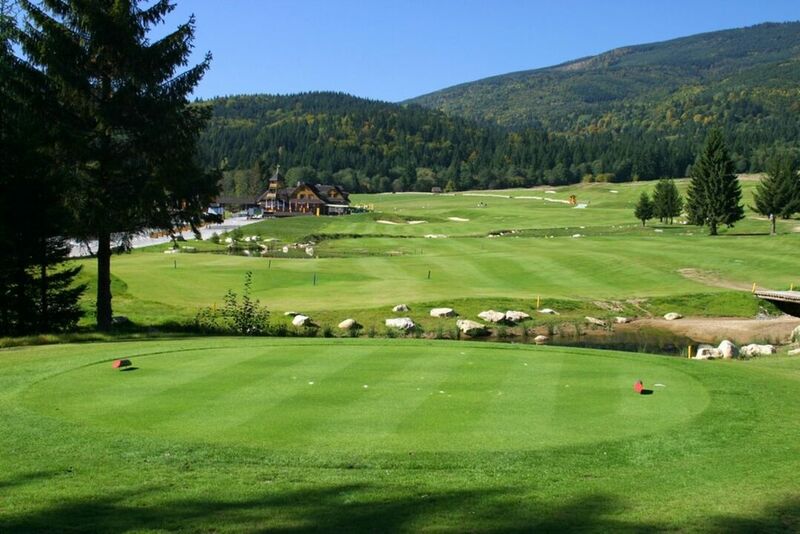 In Slovakia this golf complex has been active since 1997. The club Grey Bear attracts visitors by golf simulators called Golf Blaster. It is of great help for beginners as well as for experienced golf players. The simulators are used for training of the basic position but also for training other activities like teeing, playing on the green and so on. Besides the simulators, these activities can be practised on the practice fairway. Technical parameters: an 18-hole course, a driving range, a chipping and a putting green.